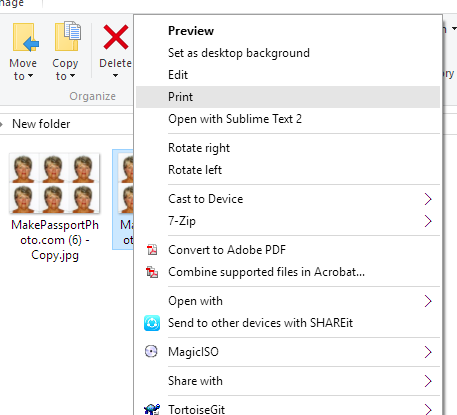 After getting your passport photo from makepassportphoto.com you might need to print the photo yourself or at at drug store. 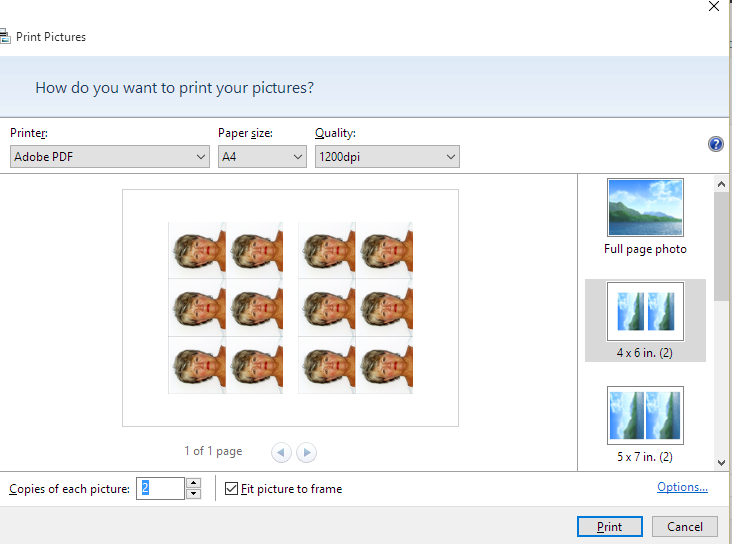 If you are printing the photo yourself you can print them easily without even a borderless printer. When output-dimension critical photos like passport or visa photos, it is very important that your print-out size remains as expected. 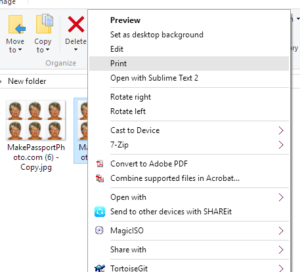 Now in windows 7,8,10 you can easily do this within seconds without much of an hassle. 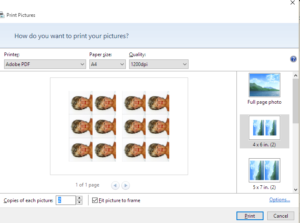 You don’t need any third party tools, and this method will help you to print border-less 6×4 photos even if you don’t have a border-less printer. Congratulations!! Thats it. Your hard copy should remain the same size as 6×4 when printed.